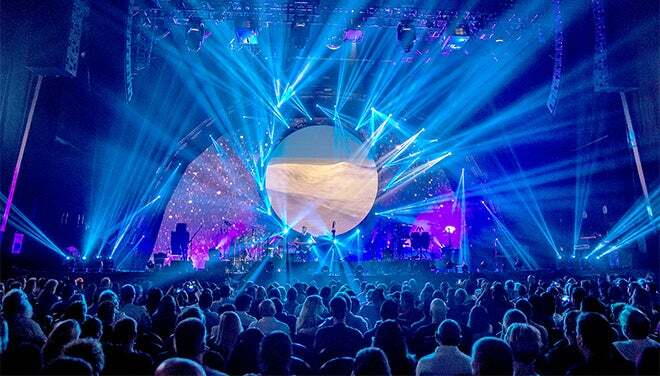 Greenville, S.C. – BRIT FLOYD comes to the Peace Center on Saturday, Aug. 3, at 8 p.m. Released in November 1979, The Wall remains one of the biggest-selling albums of all time and a major moment in rock music history. As well as performing highlights from The Wall, the new BRIT FLOYD production will include songs from Pink Floyd’s classic albums The Dark Side of the Moon, Wish You Were Here, Animals, The Division Bell and more. Tickets for the Saturday, Aug. 3, 8 p.m. performance by BRIT FLOYD are $45-$55 and may be purchased by calling 864.467.3000 or 800.888.7768, in person at the Peace Center Box Office or online at www.peacecenter.org. A limited number of VIP Meet and Greet Soundcheck Experiences are available for $155, including a ticket to the show, private soundcheck experience with bonus exclusive performances, artist meet and greet, and photo/autograph opportunity. Tickets go on sale to Peacekeepers beginning now and go on sale to the public on Friday, April 19, at 10 a.m. Service fees will apply to phone and online sales.